Prestige by name, Prestige by nature. Prestige Oven Cleaners offer a truly professional and unrivaled oven cleaning service in Derby, Burton and the surrounding areas, using a unique range of Eco-friendly and fume free products. 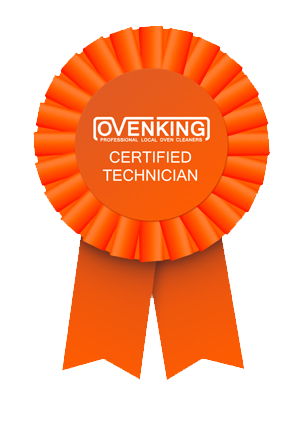 Our specialist, Fully trained and fully certified oven cleaners are on hand to tackle any oven cleaning task! Here at Prestige Oven Cleaners we strongly care about the environment that we live in. We are conscious about the products that we use and how they affect your home. 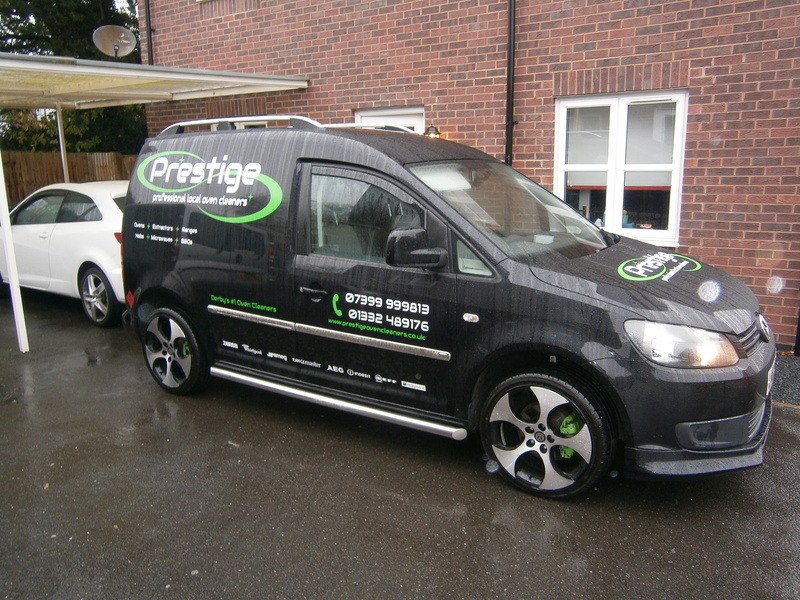 Find out why Prestige Oven Cleaners is the best oven cleaning service in all of Derby. 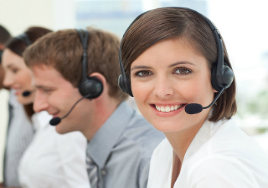 Click Here to find out how much our professional oven cleaning services cost. Prestige Oven Cleaners will give your oven a full deep clean which involves removing all of the oven racks, trays, fan plates and bulb covers. 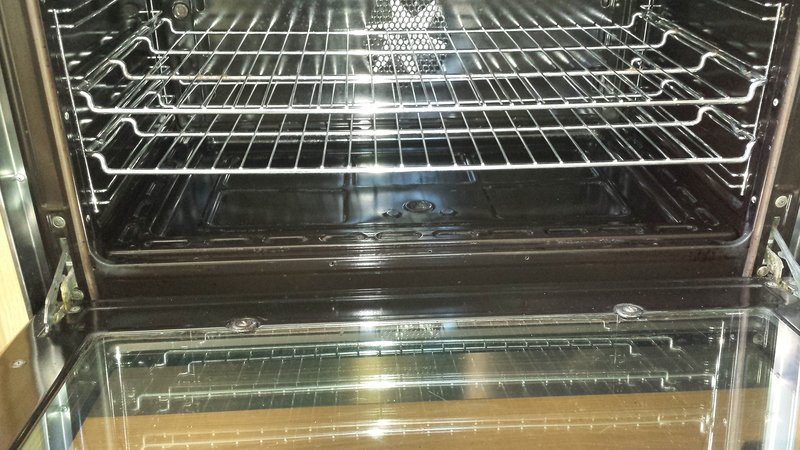 We then treat the oven with eco-friendly and fume free cleaning products ensuring no surface is left dirty. 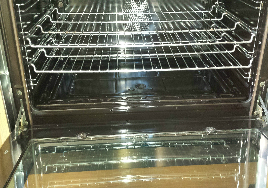 Our professional and unique method of oven cleaning allows us to restore your oven to a near showroom condition after just one visit! 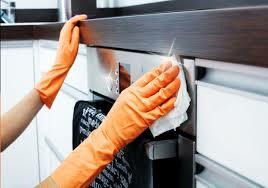 Based in Derby we can clean ovens in all of the surrounding areas. If you need an oven cleaned by a professional and you are in the Derby or Burton area, contact us today for an unrivaled oven cleaning service. After moving house we found the oven filthy, smokey & smelly when we turned it on. Prestige were able to come out within a few days at a time suitable for me (& we’re on time!) A lovely husband & wife team, very friendly & didn’t mind my 1 year old trying to help. And to top it off my oven looks like new!! Fantastic service, can not fault a thing. Definitely recommend!! I can’t thank Prestige Oven Cleaners enough for bringing the shine back to my kitchen!